I'll be surprised if I achieve any of these but the kids are out and it's summer! Keep coming back to this post because I'll be crossing them off as I complete them! *Five years later. Still none crossed off* Oh, the optimist I am! Blog post about them here! 2) Go on a photography trip... You know I love me' photography! 3) Walk my dog somewhere really nice and escape the busy world momentarily. 4) Spend time with my friends. 5) Have a Sherlock marathon with Sherl! Missing you Sherl! 7) Complete a book... I've been stuck in the 'just finished a good book and now I never want to start another one again' rut for a while now. 8) Have a day of non-stop F.R.I.E.N.D.S box set watching! 10) Improve my blog and get more daily viewers on average. So spread the word about my blog! 11) Go jogging... the last time I went I about froze to death. It was winter. Leggings were the wrong choice of clothing. I don't know what I was thinking! See what I bought, here! 13) Find out what 'Bubble Tea' is!? Seriously, what is that stuff!? Anyone who knows, comment down below! 14) Complete some of my unfinished art... I have a few pieces that I lose confidence on or get bored of and so they just get left unfinished. 15) Go to Camden Market again... one of my favourite places in the world! 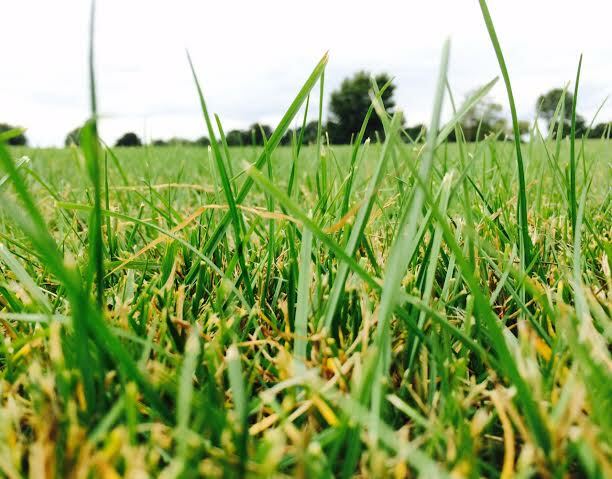 Here's a picture of some grass.